Ciara Gibson is Principal Teacher at Grandtully Primary School, nestled in the Tay Valley in beautiful Highland Perthshire. Ciara graduated in fine art before training as a teacher. 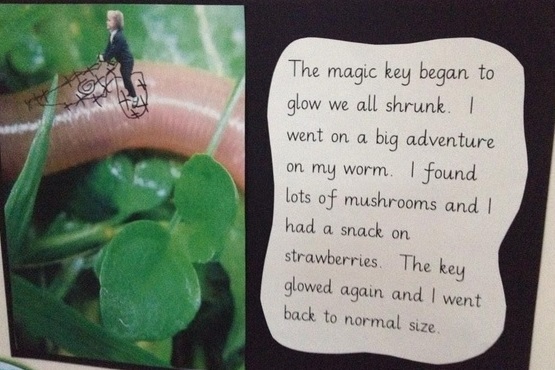 Grandtully Primary School describes itself as “a wee school with big ideas” and teaching a class comprising pupils from P1 to P7 means that Ciara must plan lessons imaginatively. In the case of the graphic novel, the subject matter was a NASA voyage to space, and it gave pupils the opportunity to write in a creative manner. Pupils researched planets and technology in order to design and create a back story for their astronauts, and to give their narrative greater depth. Dylan Gibson, a professional illustrator who lives locally, then guided the class though writing in the style of a graphic novel and laying out their artwork. At Grandtully Primary School, pupils and their families are involved in the lesson planning process, taking part in a consultation at the start of every school year to suggest ideas for projects. 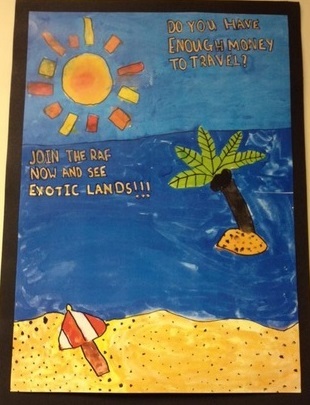 Last year, for example, pupils wanted to create a museum exhibition about the First World War that was inspired by the primary school and the local area’s connection to the conflict. The pupils’ WW1 exhibition included a high street imagined from 1914, a recreated trench, and a time machine to propel exhibition-goers back a hundred years. Pupils initially opened their museum in Grandtully Primary School and invited families and members of the community to see the results of their hard work. Elements of their exhibition can currently be seen in the Atholl Country Life Museum in Blair Atholl as part of a small display that was set up by a parent of a pupil in the class. Grandtully’s beautiful location also plays a part in school life and the outdoor setting is frequently used as inspiration for projects or as a space to learn in. This can be seen clearly in the school’s submission to the BBC’s Ten Pieces project, which asks primary pupils across the UK to use classical music as their inspiration for music, dance or digital art. 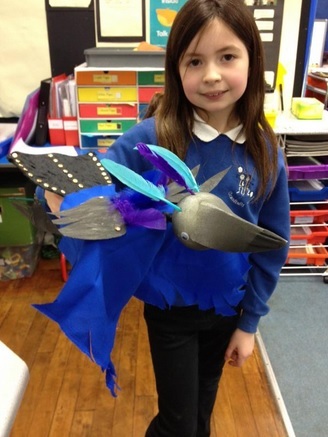 The pupils of Grandtully Primary School worked with Clydebuilt Puppet Theatre to make colourful rod puppets and they choreographed a piece of movement through the school’s outdoor grounds to Stravinsky’s The Firebird. You can watch the pupils’ Firebird film here. 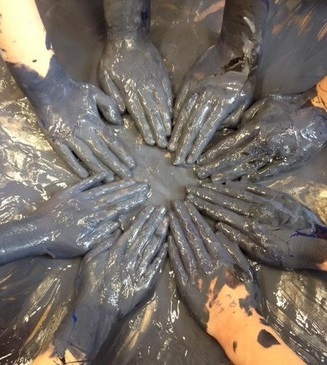 Also for BBC’s Ten Pieces, Grandtully pupils created a storm on paper – a vibrant piece of visual art inspired by Britten’s foreboding Storm Interlude from Peter Grimes – you can see it here. 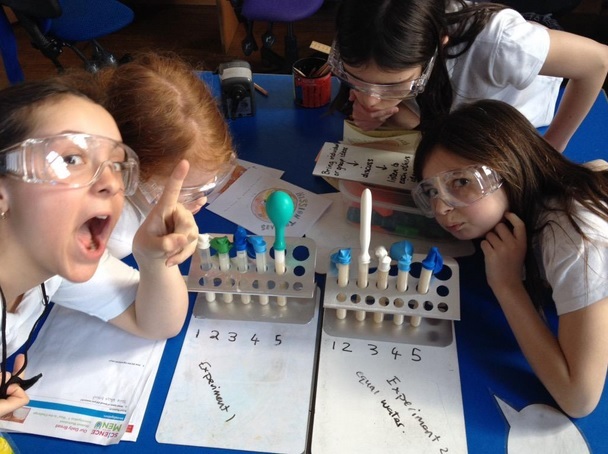 For the latest news from Grandtully Primary School, follow @Grandtullyps on Twitter or visit the school’s blog at https://blogs.glowscotland.org.uk/pk/GrandtullyPrimary/.